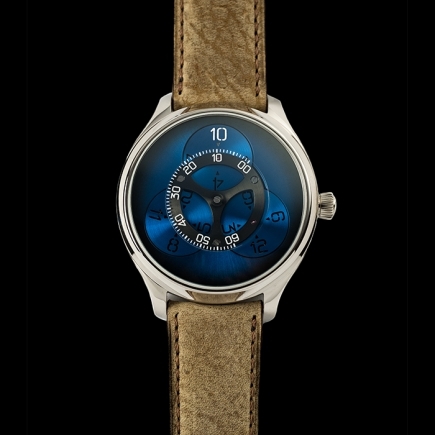 H Moser & Cie | 38'000 € Tax inc.
An extremely wearable perpetual calendar, designed to elegantly display the time under any circumstances, both on land and in water: introducing the Pioneer Perpetual Calendar from H. Moser & Cie. Water-resistant to 120 metres, it is the first complication of its kind which is truly suited to everyday wear, thanks to its durable steel case. 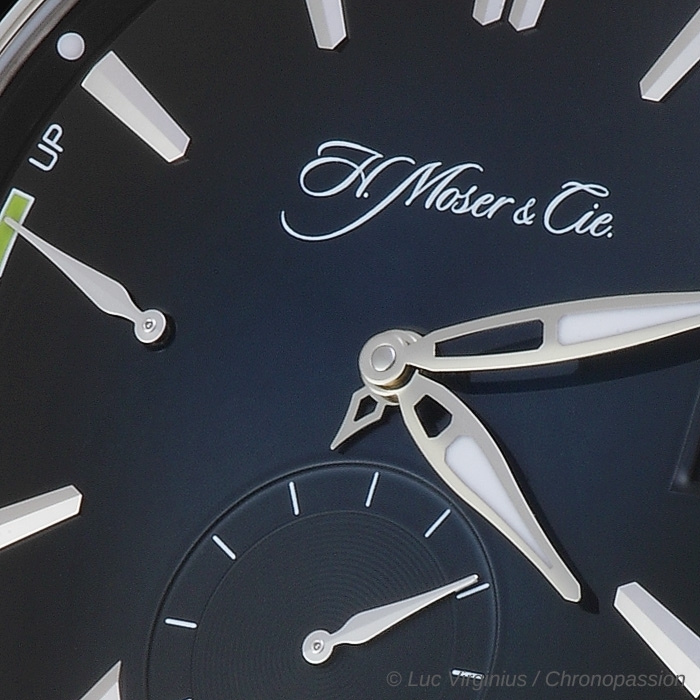 To those who consider this pointless, H. Moser & Cie. would highlight the practicality of this solution, which makes it possible to keep the perpetual calendar — without doubt the most useful complication of all — on the wrist rather than stored in a box. 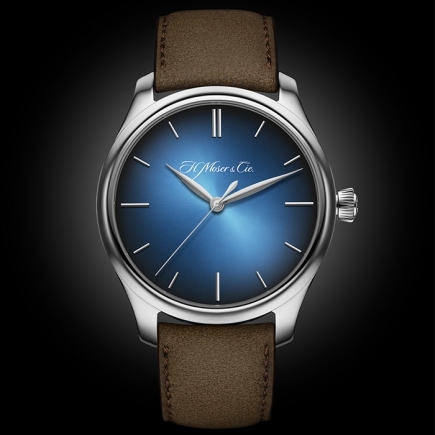 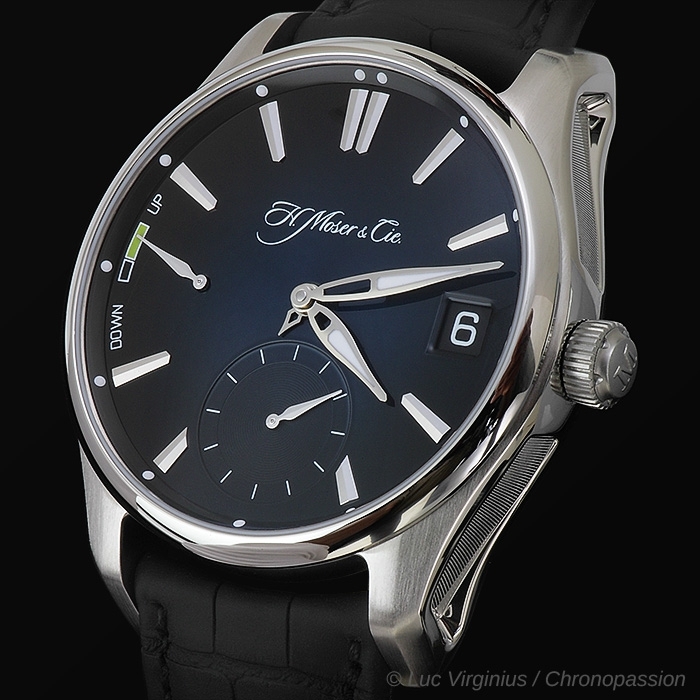 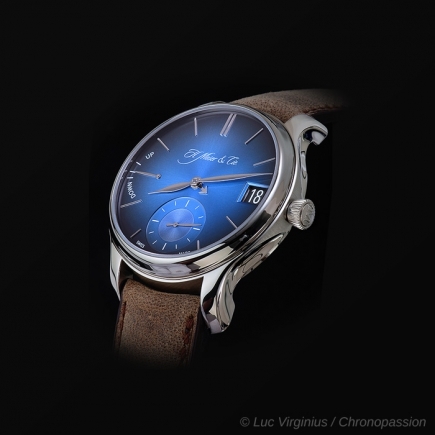 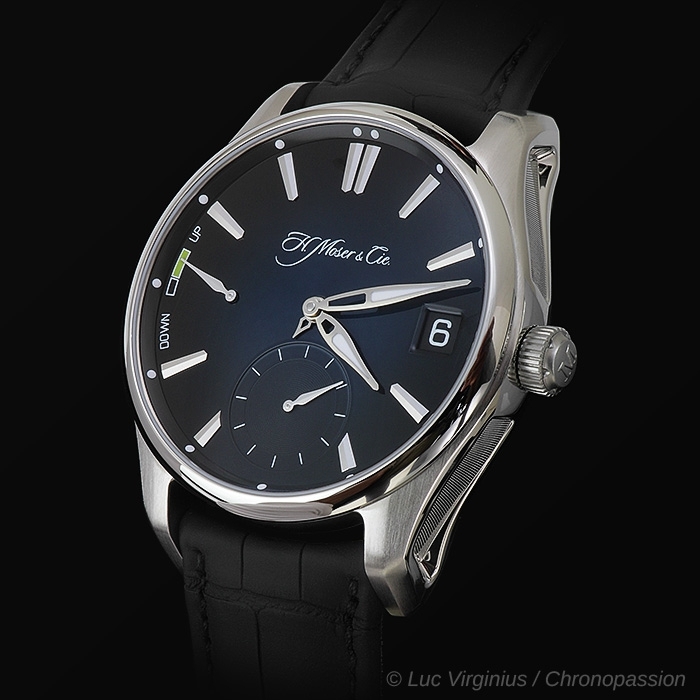 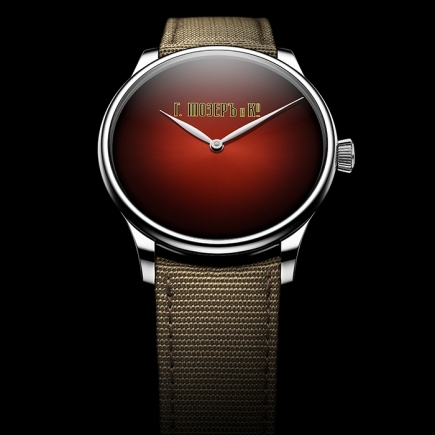 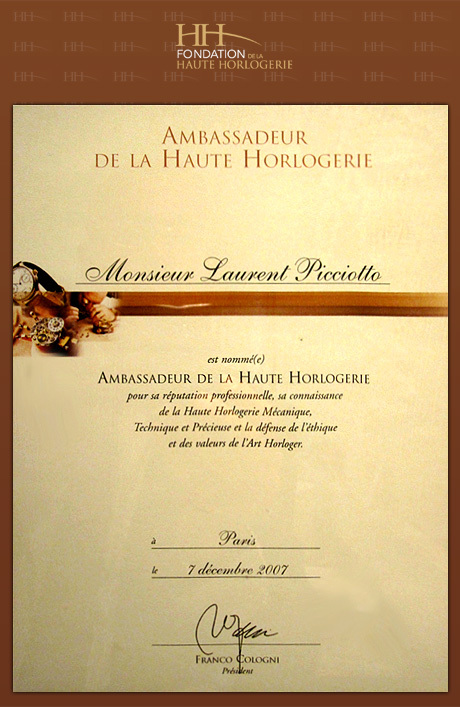 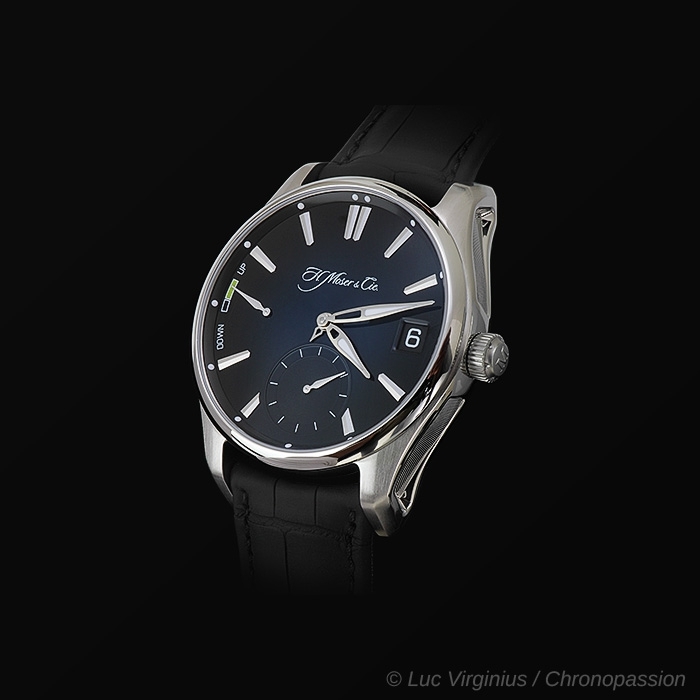 In 2015, H. Moser & Cie. launched the Pioneer collection. 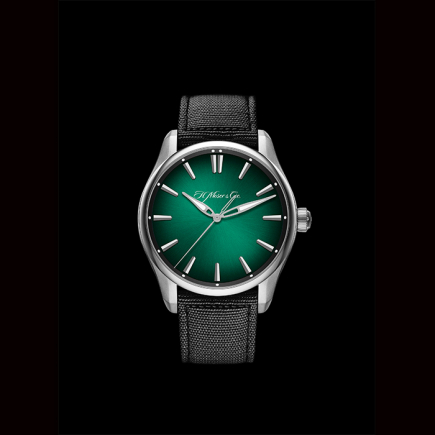 Bold and modern, the mark of a pioneering and adventurous spirit, with a strong design which makes reference to the industrial world, models in this collection are both elegant and comfortable – perfect for everyday wear. 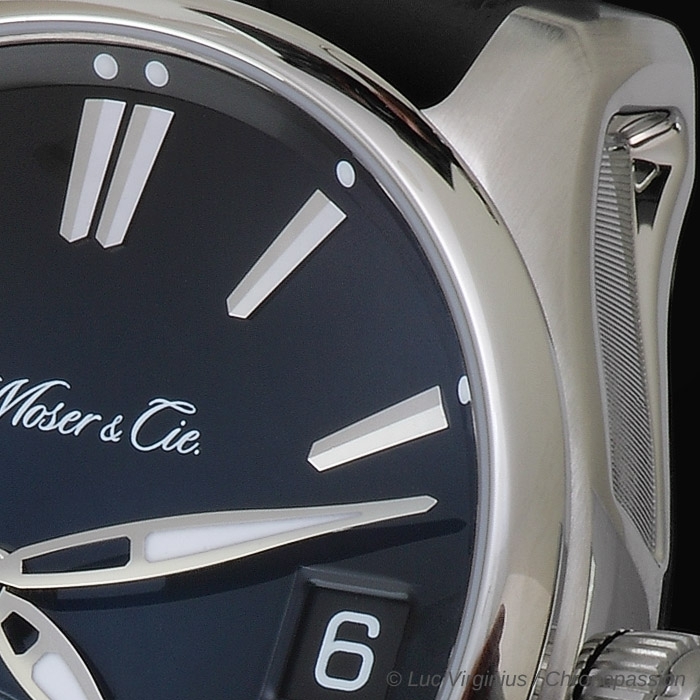 For H. Moser & Cie., the Pioneer was the natural choice when including a steel model in its regular collection: the Pioneer Perpetual Calendar is easy to use and comfortable to wear. 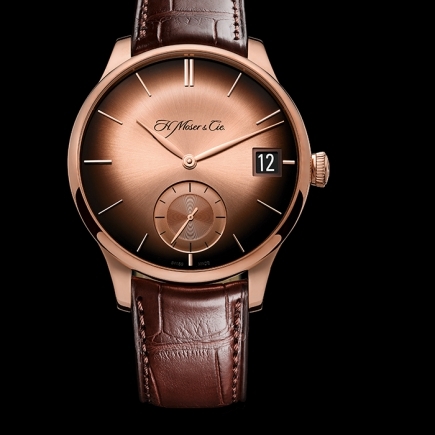 Akin to a suit of armour with a 42.8 mm diameter, the Pioneer Perpetual Calendar case protects the complex mechanism at the heart of the watch. 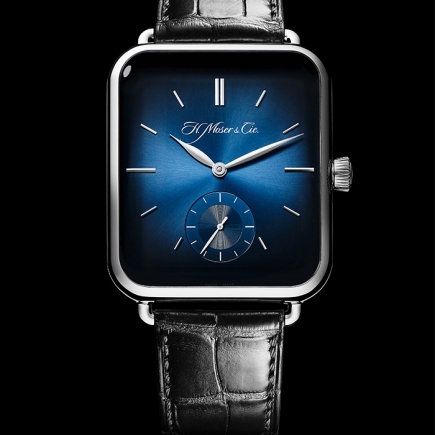 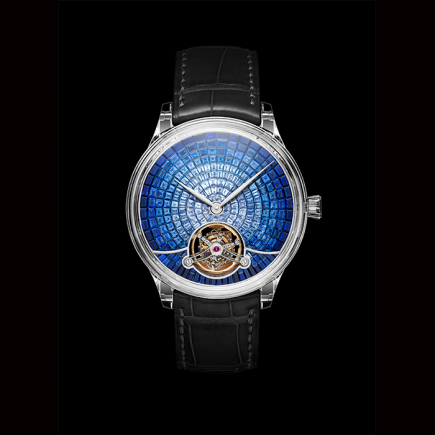 On one side, the Pioneer Perpetual Calendar features the mesmerising H. Moser midnight-blue fumé dial. 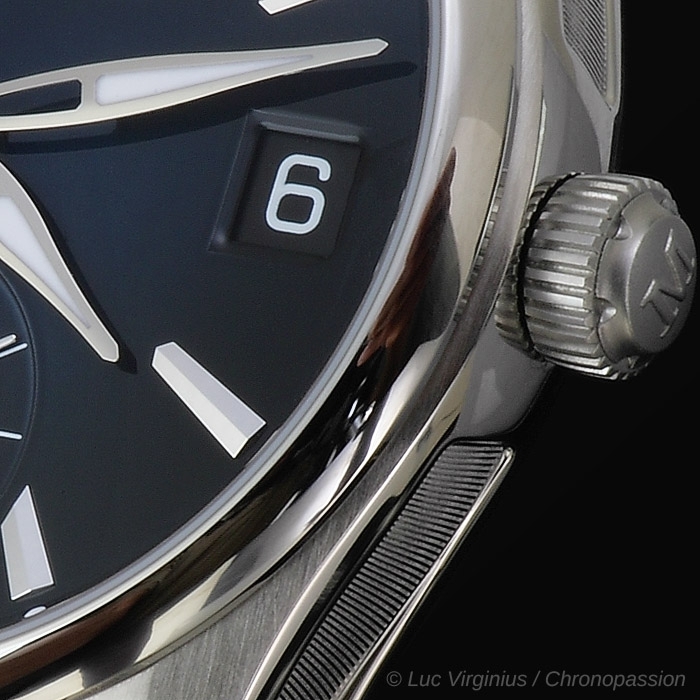 The luminescent dots on the flange and the hands filled with Superluminova® allow the display to be read at any time of day. 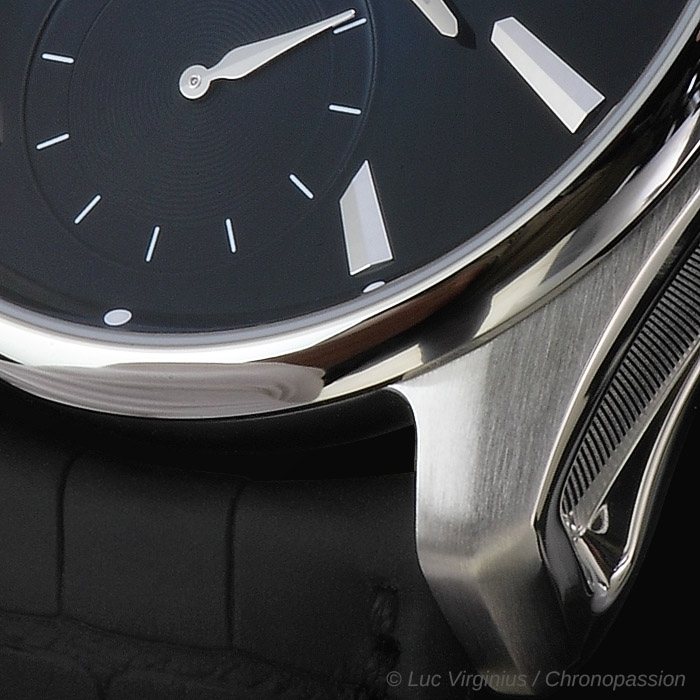 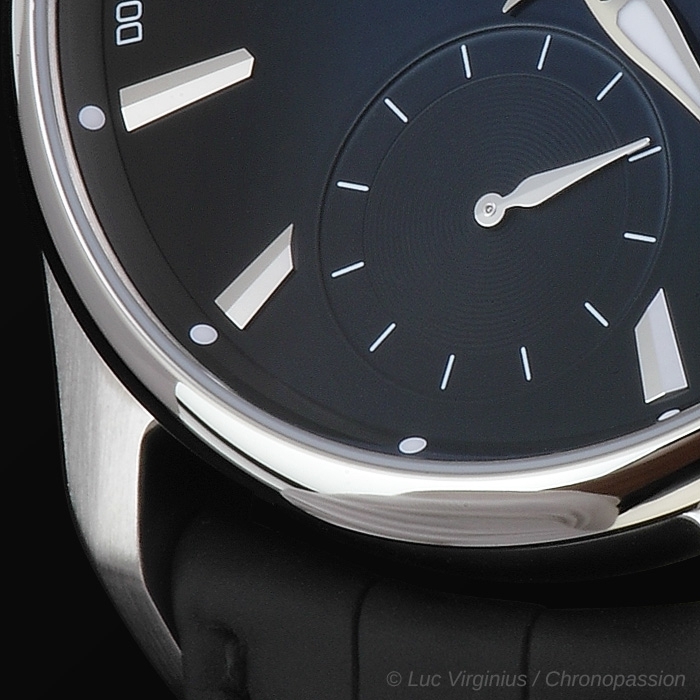 For the strap, H. Moser & Cie. has chosen black alligator leather. 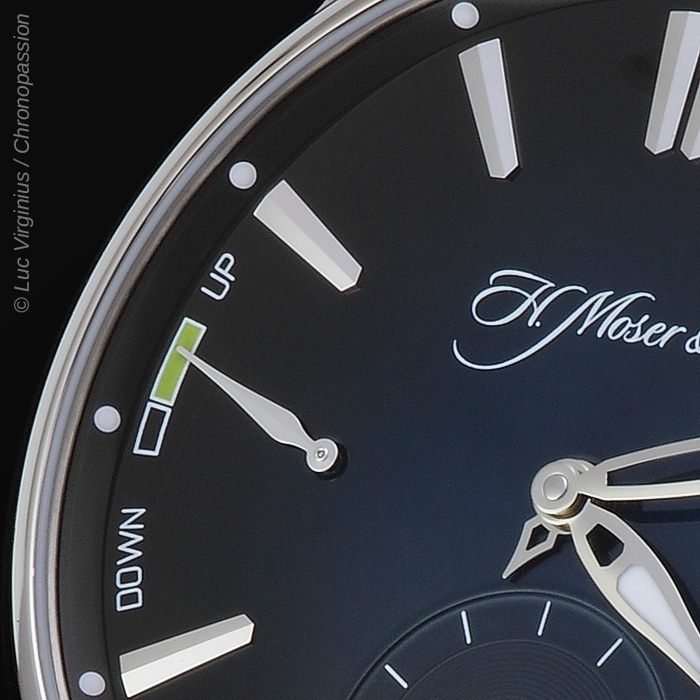 From the back of the watch, the legendary H. Moser perpetual calendar calibre can be admired through the curved sapphire crystal case-back. 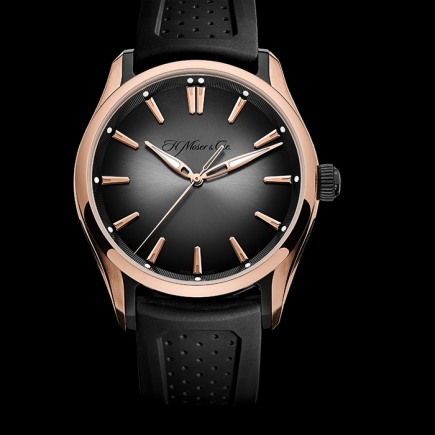 A marvel of ingenuity and complexity, enhancing a complication executed with absolute simplicity, the HMC 800 calibre guarantees a minimum power reserve of 7 days. 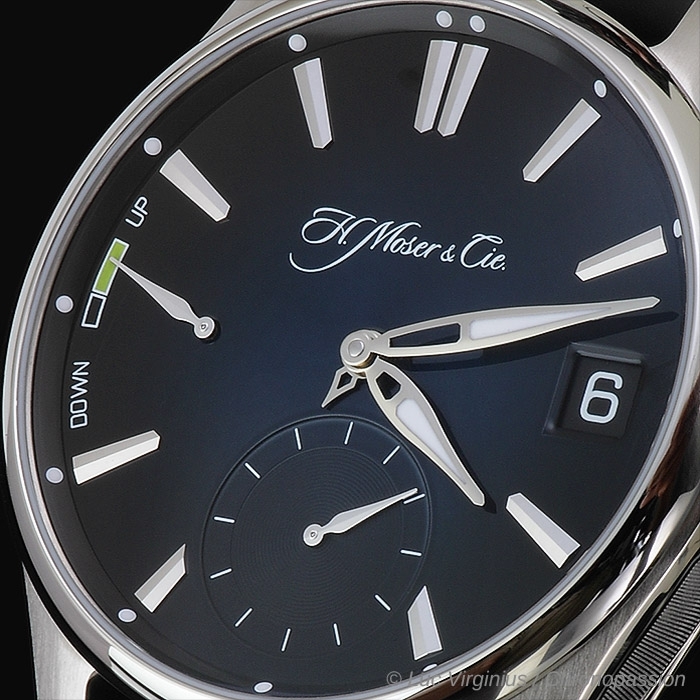 With the Pioneer Perpetual Calendar, H. Moser & Cie. revisits this complication, bringing it into the 21st century for a modern era in which we jump from work to the gym, then home to family for yet more activities with little time to relax. 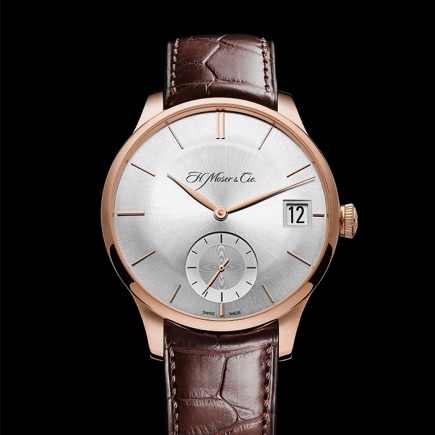 The Pioneer Perpetual Calendar perfectly steps up to these new requirements, combining style with practicality.